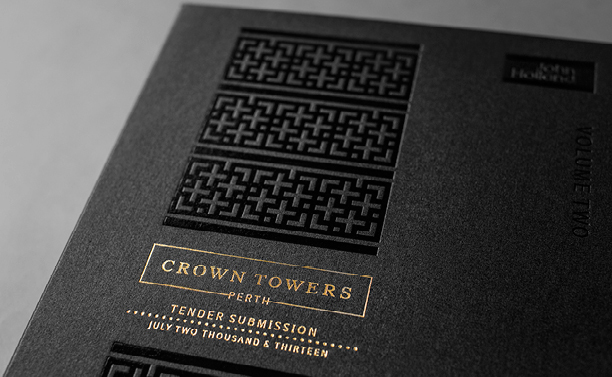 Brief: To design and produce a visual identity and high-end packaging for John Holland's Crown Towers submission. It was important the tender 'look and feel' reflected the six-star hotel project, while also suggesting John Holland's eye-for-detail and level of craftsmanship. 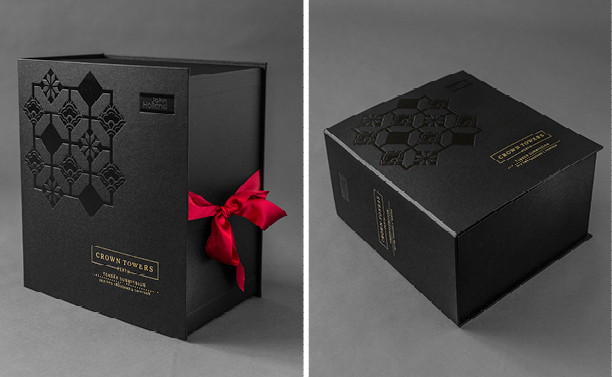 Rationale: Our goal was to create a sophisticated experience for the tender reader by designing the submission packaging to feel like a gift. 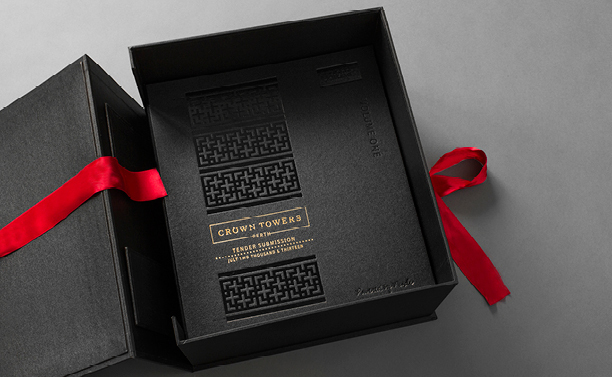 A red silk ribbon represented a required Asian influence and John Holland's corporate colour. 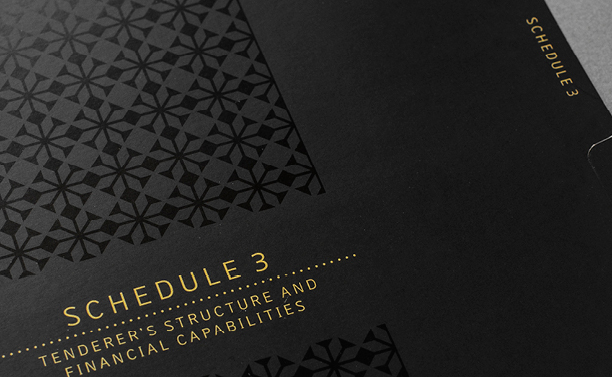 Monochromatic graphics reflected the opulent patterns and textures that were found within the proposed interior fitout. 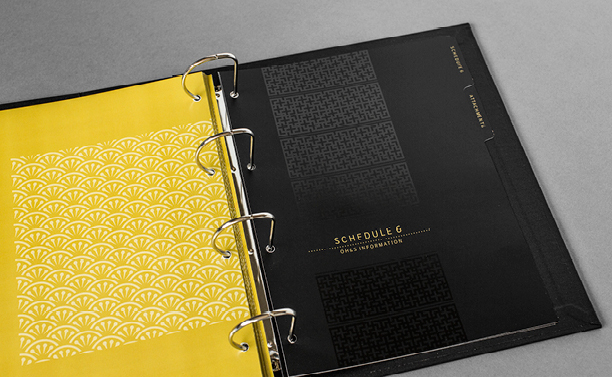 New digital printing techniques were used to achieve an eye-catching solution, resulting in Great Circle Design being awarded a 2013 PICA Gold in the category of Design. 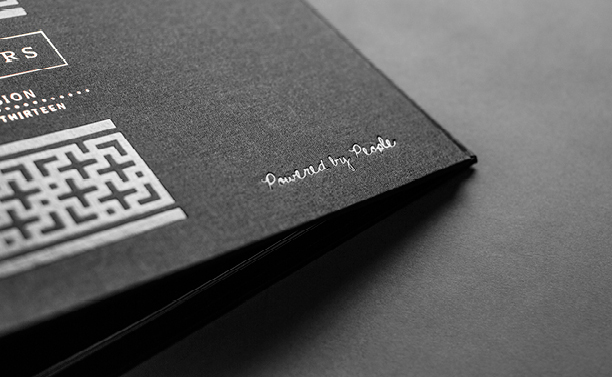 We began our partnership with John Holland in 2010. 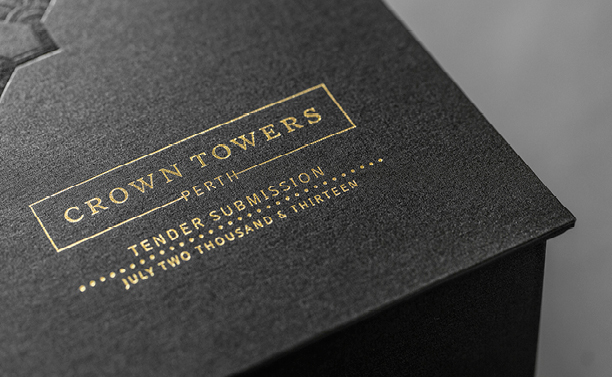 We have worked successfully with the tender Submissions Managers and Coordinators during this time, resulting in many winning bids including: Perth City Link; Wheatstone Project LNG Plant; Esperance Port Access Corridor Project; Hope Downs 4; Cape Lambert Port B Wharf Extension Contract; and Mitchell Freeway Extension (EOI).